When Was the Last Death from Smallpox? 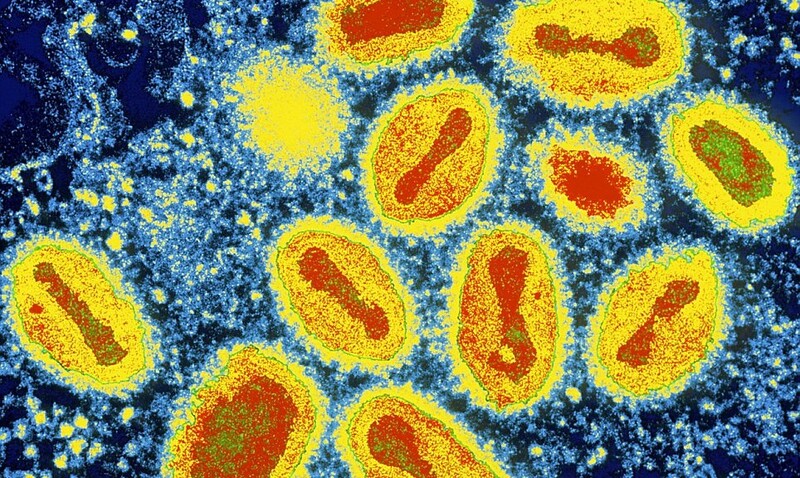 Smallpox had been plaguing mankind for thousands of years, killing about a third of its victims. In the 1700s it was the single deadliest disease, killing about a third of the people who got it. Those who survived the disease were left pockmarked and sometimes blinded. By the early 1900s smallpox had been mostly eliminated in the US and much of Europe – the last case of smallpox in the US was in 1949 and the last European cases were in Yugoslavia in 1972. By the mid-1970s smallpox remained only in the Horn of Africa. The last victim anywhere of naturally occurring smallpox was Ali Maow Maalin who was diagnosed in Somalia on October 26, 1977. He survived and spent his life fighting to stop another deadly disease – polio. He died of malaria in 2013. The disease seemed to have been conquered, but in 1978 a woman in the UK named Janet Parker fell ill with smallpox. She had worked at the University of Birmingham Medical University on a floor two stories above a laboratory that was doing research on live smallpox virus. Parker had been vaccinated when she was younger but booster vaccines are needed to keep immunization up-to-date and it had been 12 years since her last shot. She died on September 11, 1978. 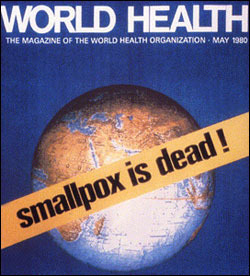 In 1980 the World Health Organization issued a resolution declaring the successful eradication of smallpox. In 1986 they recommended that the last samples of the virus be destroyed and set the destruction date for December 30, 1993. The date was postponed to June 30, 1995 but has still not been done. The Centers for Disease Control and Prevention in Atlanta, GA and State Research Center of Virology and Biotechnology VECTOR in Koltsovo, Russia still have stocks of the virus. You can learn more from these two free Yale University lectures “Smallpox: The Speckled Monster” and “Smallpox: Jenner, Vaccination, and Eradication“. While brushing your pearly whites, you may ask yourself who invented the first toothbrush? Who should I thank for that lack of tartar build up? The answer is not as simple as it would seem. A form of the toothbrush as we know it has been around since 3500 B.C., when the Egyptians used chew sticks, which were twigs with frayed ends used to brush against the teeth. The Chinese were the first to use a toothbrush resembling them as we know them today. In 1498 the Chinese used course boar hairs and attached them to a handle made from bamboo or bone. The Europeans then adapted this design opting for horse hair which was softer then the boar hair. Other European designs used feathers. Now, fast forward to 1780 where we will meet William Addis who invented the first mass produced toothbrush. In 1780 Addis was incarcerated and thought the methods used at the time to clean teeth inadequate. William saved a bone from his dinner, drilled holes in it and then inserted bristles and wired the ends to keep them in place. Thereby improving methods. After his release William started a company that would manufacture his toothbrushes. Toothbrushes only used natural bristles. That was until 1938 when Du Pont invented nylon. Nylon toothbrushes were sturdier and more effective then natural hair. But it wasn’t until the end of World War II that the Americans became concerned with oral hygiene. Influenced by the good hygiene of the soldiers returning home, Americans quickly adopted the nylon toothbrush. Now modern technology has introduced an electric toothbrush, as well as more ergonomic designs and more hygienic materials. But the fundamentals are the same, a handle and bristles to brush your teeth. 2. First nylon toothbrush was called Doctor West’s Miracle Toothbrush. 3. 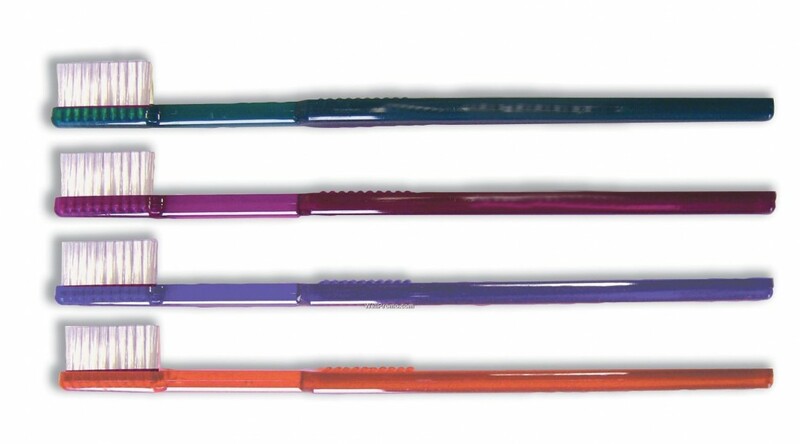 One of the first electric toothbrushes was made by the Squib Co. in 1960 they called it the Broxodent.